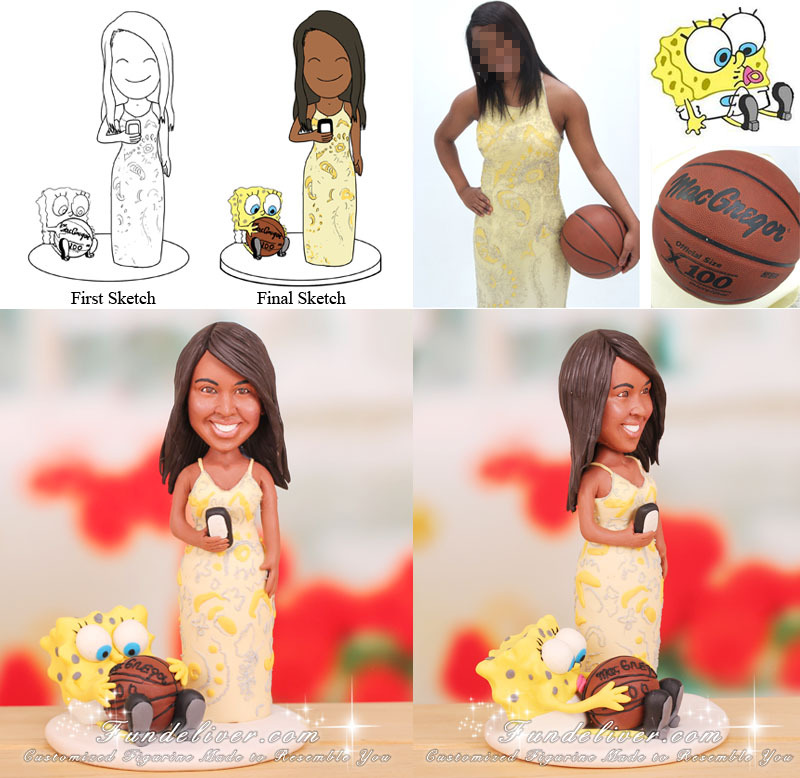 This is a completely customized Spongebob theme birthday cake topper ordered by one of our customers for her daughter’s 16th birthday. She would like her daughter to be wearing a yellow dress straight down with paisley prints. For the layout she would love to have her topper pretty much like our website Sweet 16 Cake Topper but instead of Hello Kitty, replace with Spongebob. Instead of a volleyball, she would like her basketball to be in Spongebob's lap. Her daughter is known for the basketball player with the BIG pretty smile and loves Spongebob so much. 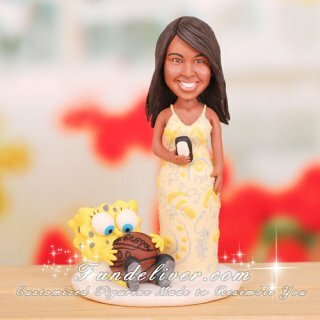 That is why she ordered this figurine for her daughter’s Spongebob theme birthday party.